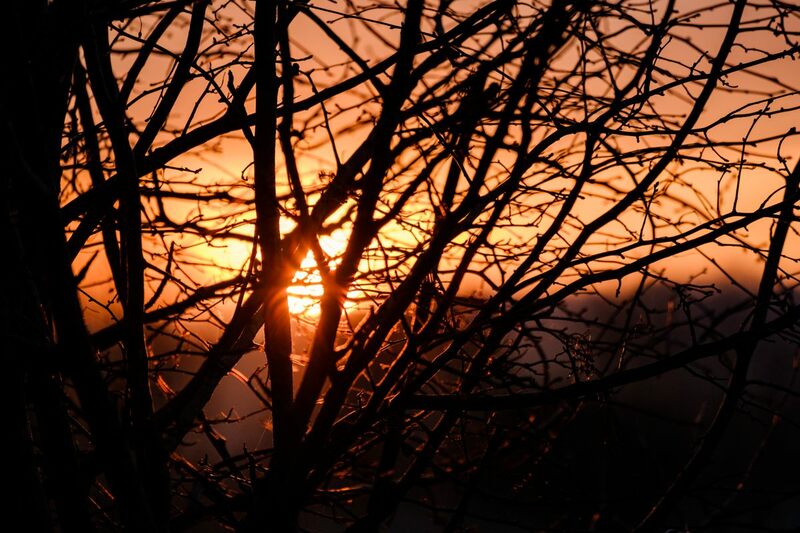 Winter’s sunrise and winter’s branches. Cold light, hard, bright, dazzling, raw. and dark – dark, piercing, sharp. Light arrives, darkness recedes, yes. a hint of warmth or comfort. Earlier images from this early morning shoot are here: 1 (with context) 2 3 . Each will open in a separate window. Technique: X-T2 with 55-200 Fujinon lens at 300mm (equiv); 800 ISO; Lightroom, using the Astia/Soft film simulation; Stanton Drew, in the Chew Valley south of Bristol; 14 Dec 2018. Yes, that’s true – I can only be thankful not to be affected by shadowy winter days, as I know many are. Lovely photo again, as always!